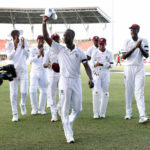 Sheldon Cottrell took five England wickets for just 46 runs as the West Indies defended a target of 290 runs in the second ODI at Bridgetown, writes SIMON LEWIS. 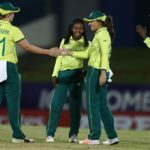 Fernando, Rajitha rattle Proteas … again! 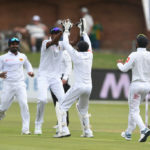 Sri Lankan pacers Vishwa Fernando and Kasun Rajitha devastated the South African batsmen for the second consecutive Test to share Thursday’s Turbo Bowler award, writes ANITHA MADIKIZELA. 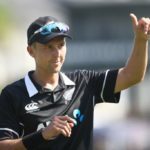 Tim Southee played a pivotal role in New Zealand’s 88-run win over Bangladesh at the University Oval to help secure a 3-0 whitewash and earn Wednesday’s Turbo Bowler accolade, writes ANITHA MADIKIZELA. 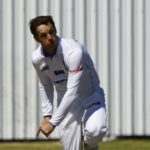 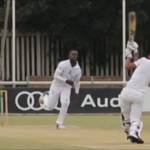 SACricketmag.com editor SIMON LEWIS spoke to 24-year-old KZN paceman Daryn Dupavillon about an incredible spell of bowling he produced in January. 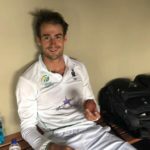 Sri Lankan fast bowler Vishwa Fernando rampaged through the South African batting order to take 4-62 in the first Test to earn himself Wednesday’s Turbo Bowler award, writes ANITHA MADIKIZELA. 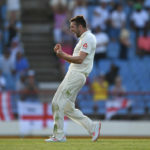 Mark Wood marked his return to the England Test team with a brilliant maiden fifer to give the visitors the lead in the final match of the series and earns Sunday’s Turbo Bowler award, writes ANITHA MADIKIZELA. 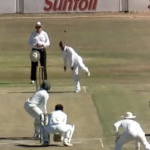 KwaZulu-Natal’s Smangaliso Nhlebela helped himself to seven wickets against South Western Districts in the CSA 3-Day Provincial Cup and earns Friday’s Turbo Bowler award, writes ANITHA MADIKIZELA. 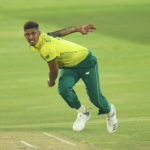 Beuran Hendricks was sensational in the Proteas’ losing cause at SuperSport Park as he picked up career-best figures of 4-14 to earn Wednesday’s Turbo Bowler award, writes ANITHA MADIKIZELA.